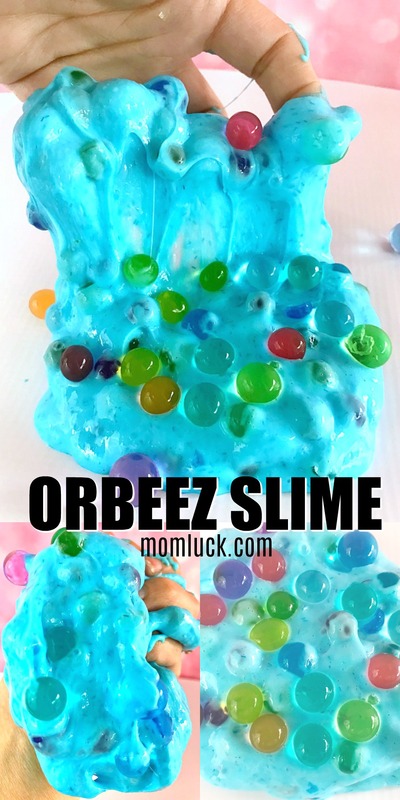 This Orbeez Slime DIY recipe combines 2 things that kids love to play with, slime and orbeez. For this recipe you will need to first make a batch of slime. You can use any kind of slime that you would like. Some of my favorites for this recipe would be a clear slime, fluffy slime or you can make a basic slime recipe. Any of these would go great mixed with Orbeez. Orbeez are a small toy that are made out of super absorbant polymers. Orbeez will start out as a hard pellet that’s about the size of a piece of rice. When you soak the pellets in water they grow in size, eventually reaching the size of a large pea. Depending on the brand of Orbeez you get and how long you soak them they can even get as big as a small grape. Once the Orbeez dry out they will go back to their original size and shape. It’s pretty fascinating to watch and kids love the texture and feeling of these toys. That’s why they go great with slime. We bought these off brand of Orbeez beads on Amazon. They work just as well as the brand name Orbeez which you can buy at Walmart or target. 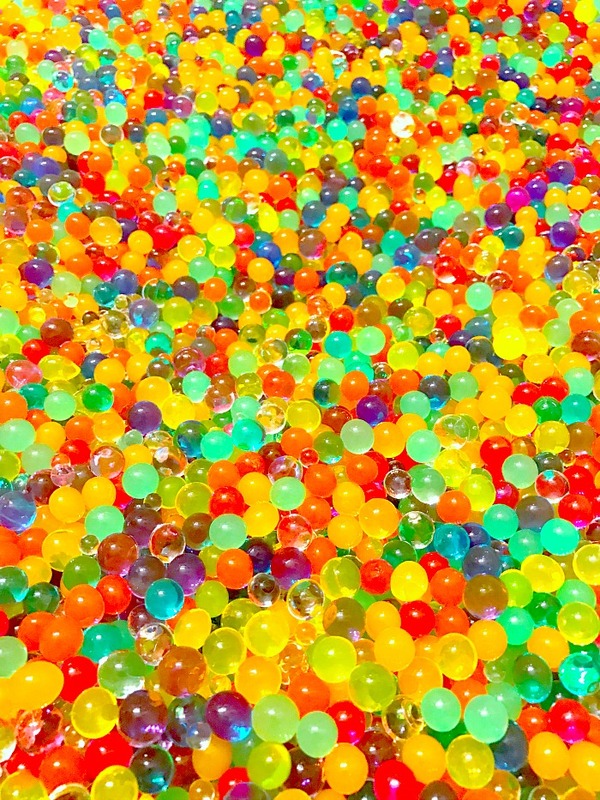 Orbeez are so much fun to play with in and out of slime. We will often buy a large package of them so we can do fun activities as well. My kids have a Youtube channel where they have done fun videos with Orbeez like a Orbeez bath. 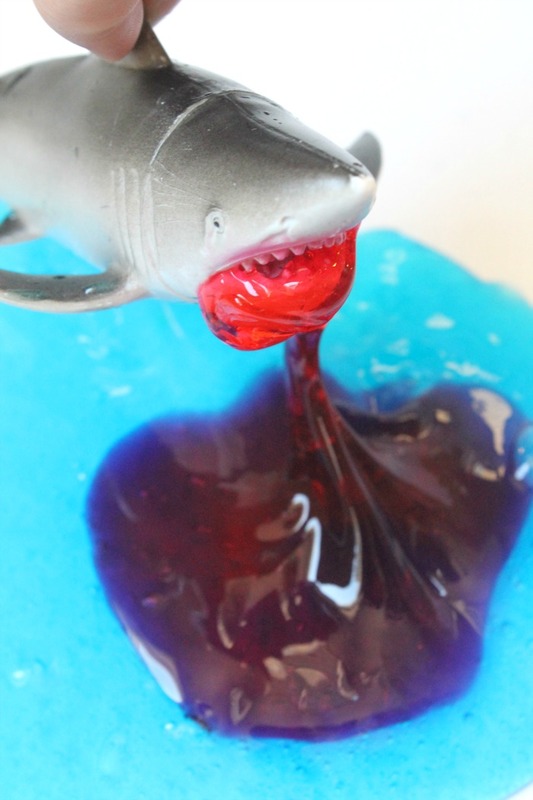 To make this fun squishy slime you’ll need a batch of your favorite slime recipe. For this particular recipe seen in the pictures we used a homemade slime recipe that calls for glue and slime activator. 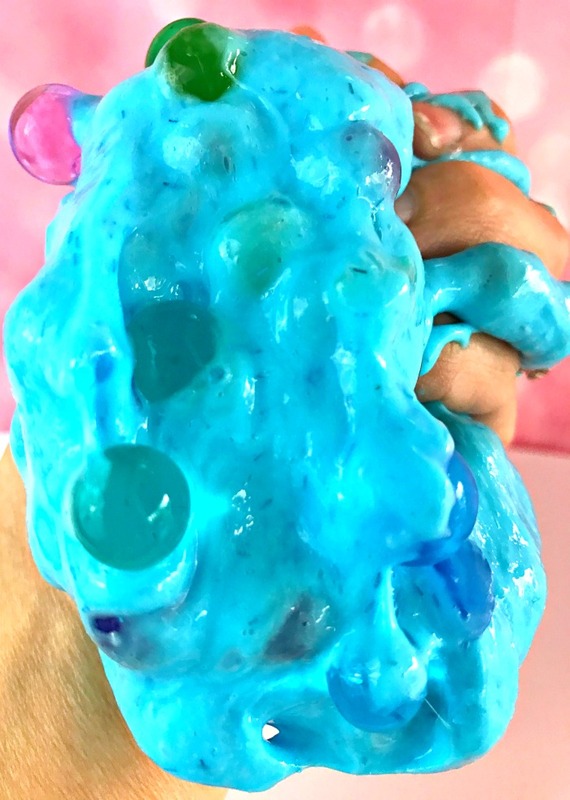 Since the Orbeez are really slippery I like to use a sticky slime so that they pellets will stick to the slime more. They are soft and squishy so fair warning that the Orbeez will fall out from time to time. Make sure you play with your slime where it’s ok for them to fall on the floor or table. 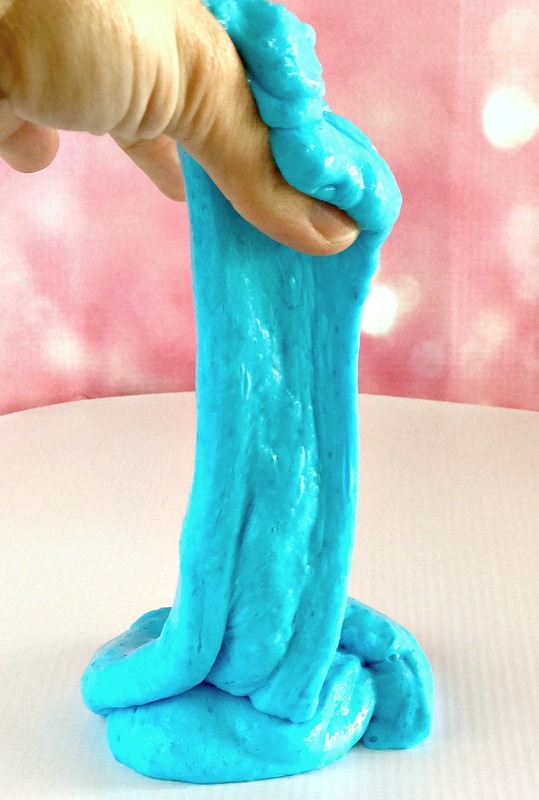 Once you’ve made your slime, now is the fun part! Adding in the Orbeez pellets. You want to “activate” your pellets first. To do this follow the instructions on the package that your Orbeez came in. Normally you will place your Orbeez in a large bowl and cover them with water. You will want to make sure that you have a large enough bowl to allow the water beads to expand. Remember they are going to grow 5-10X their size so they need room to grow. It will also take a couple of hours for them to get fully expanded. Add the Orbeez Water beads To The Slime. Slowly add in the orbeez into your slime a few at a time. You can squish them in, pat them in or throw them in the bowl. This is part of the fun of playing with the slime. So have fun! The Orbeez are full of water so they are going to be slippery. For this reason I don’t add too many to the slime, otherwise they will all fall out. I created a short video for my Youtube channel showing you how I created the Orbeez slime. 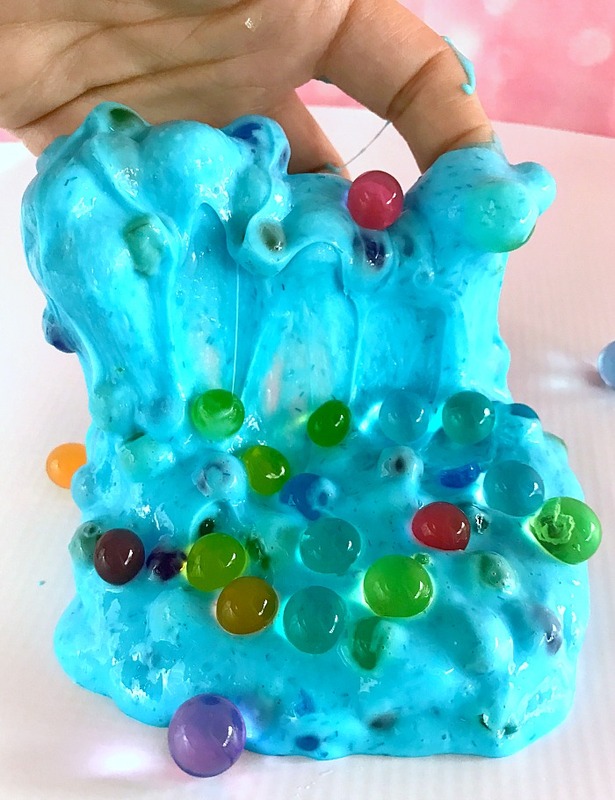 If need a recipe for slime for this recipe, be sure to check out the slime tab on the top of the page or click one of the links. It will give you step by step instructions on how to make slime. Here are more of my best slime recipes. To get the full instructions on each slime recipe just click on the picture.